White Oak washed veneer cabinets with highgloss white uppers. Horizontal lifts on upper cabinets. Stainless steel backsplash for a commercial kitchen look. 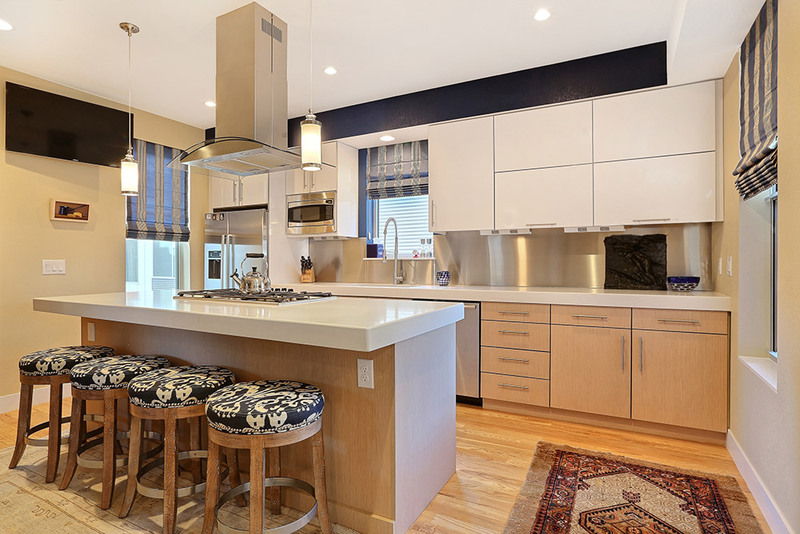 Thick edge quartz countertops and stainless steel appliances. Large one bowl sink for large platters and custom Roman Shades.